Serikjan Bilash's activism is a spoiler to relations with China. The following is a story by Eurasianet and is republished by Global Voices under a partnership agreement. Editor's note: Since this story was first published Bilash has been released from confinement and is under house arrest. Security services in Kazakhstan had their steely gaze locked onto Xinjiang-focused activist Serikzhan Bilash long before his sudden arrest over the weekend. When a Eurasianet correspondent met Bilash for the first time last July, prosecutors in his home city, Almaty, had just handed him a formal caution to refrain from participating in a rally summoned by a foreign-based opposition figure. Bilash, a charismatic public speaker with a strong following among Kazakhstan’s repatriates – the beneficiaries of a government initiative to lure the ethnic Kazakh diaspora to their titular homeland – was bemused. “I barely know who this man and his group are,” he said, referring to Mukhtar Ablyazov, the nemesis-at-large of veteran President Nursultan Nazarbayev. 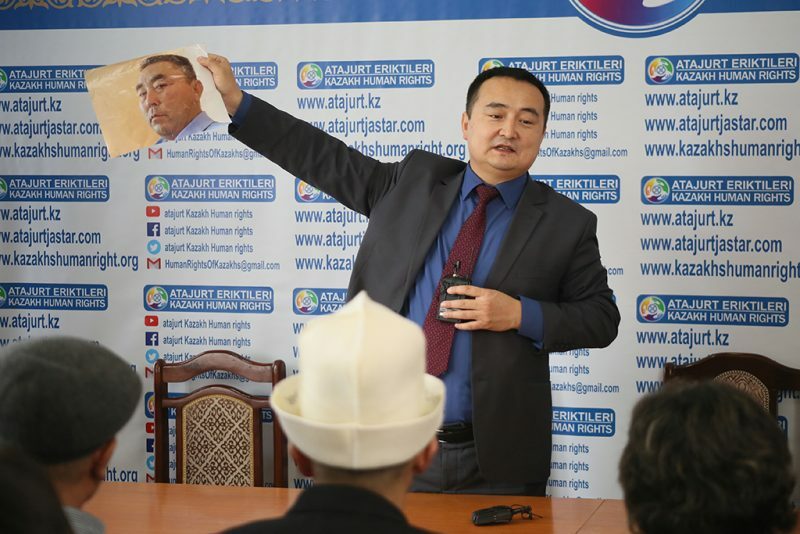 Bilash has been relentless, impassioned and single-minded in his focus on the alleged rights abuses perpetrated by Chinese authorities against the ethnic Kazakh community in their western Xinjiang province. Bilash’s dramatic detention may have been intended to maintain those cordial relations. Some time after midnight, early on March 10, government agents grabbed the activist from his hotel room in Almaty where he was staying as a temporary security measure. Later, he was loaded onto a plane and flown 1,000 kilometers northward, to Astana. Once there, he was informed that he was being charged with inciting ethnic hatred. Last year’s note from prosecutors was just one in a string of warning shots from authorities spooked by the mounting popularity of an independent political player. Plainclothes policemen were regular visitors to the Almaty premises of Bilash’s unregistered Ata-Jurt organization. The group has been busily holding press events and showing videotaped testimonies of people alleging alarming excess by Chinese government forces in Xinjiang. “This is our friend,” a beaming Bilash told a Eurasianet correspondent who attended an event at the office in January, indicating an unsmiling policeman standing close by. “We are just pleased he lets us do our work,” Bilash added. On March 10, the same unsmiling policeman, who gave his first name as Baurzhan, watched on as other officers carted computers and cameras out of Ata-Jurt’s office in black plastic bags before sealing off the premises. Several of the volunteers present during the raid were later questioned by police. The potential demise of Ata-Jurt as a window onto developments in Xinjiang is hard to underestimate. Repeated testimonies filmed there by the Kazakhstan-based relatives of Chinese Kazakhs detained in Xinjiang have shed considerable light on the shifting nature of state repression in the region. In recent months, some have had word that their loved ones were being released from the reeducation camps, only for them to be dispatched to forced labor programs. Others have learned their relatives were moved to prisons to begin serving heavy sentences. Gaukhar Kurmangaliyeva, whose cousin Askar Azatbek, a Kazakh citizen who was in December 2017 allegedly snatched by Chinese security service officers in the Khorgos freeport, a retail zone straddling the border, is one of several petitioners who made the transition to becoming an Ata-Jurt volunteer. Before watching an online clip of one of Bilash’s pumped-up lectures last March, the part-time cleaner, whose job earns her around 50,000 tenge per month ($130), had no inkling of the scale of repression in Xinjiang. In Ata-Jurt, she found a community of fellow sufferers. They listened to her readily. It took almost one year of constant emails and phone calls before she received an engaged response from Kazakhstan’s Foreign Ministry. In late 2018, officials at the ministry told her that Chinese authorities had jailed Azatbek for violating laws prohibiting dual citizenship. “If they shut down Ata-Jurt and Serikzhan Bilash, where will we go?” asked Kurmangaliyeva. Bilash has brushed off legal challenges before. In February, a court fined him the equivalent of nearly $700 for leading an unregistered organization. But where some see a principled crusader undaunted by threats, others see a dangerous demagogue. “There is more harm than use from the Ata-Jurt volunteers,” concluded the letter. Bilash later told Eurasianet he was summoned by the police for questioning over the contents of the letter. Critics of the letter, meanwhile, suggest the signatories were put up to the job by the government. Bilash has also shed allies along his journey to national celebrity. Kydyarali Oraz, who views himself as the Ata-Jurt movement's founder, did as much as anyone to fight for the rights of Xinjiang Kazakhs, even raising their plight at the United Nations in Geneva in November. But shortly after that trip, the pair fell out. Bilash accused Oraz of financial irregularities and divided loyalties. Oraz has since formed a new group. To the suspicious chagrin of his old comrades, this group was swift in securing government registration. After Bilash’s March 10 arrest, Oraz recorded a video message expressing solidarity with Ata-Jurt and the wider Oralman community. But relations with his former ally remain poor. “Anybody he disagrees with, he calls a Chinese spy,” Oraz complained in an earlier interview with Eurasianet. One person who has been unerring in her support for Bilash is perhaps the most important of all. Former Chinese state employee and Communist Party member Sayragul Sauytbay became a media sensation last year when she became the first person to testify in court about China’s internment camps. She was on trial and facing possible deportation to China after Kazakh authorities arrested her for illegally crossing into the country. In large part because of Ata-Jurt’s attention-raising, the trial received a steady stream of local and international coverage. Following each hearing at Sauytbay’s trial, Bilash made impassioned speeches to the Oralman, who would pack the small and stuffy courtroom in the provincial town of Zharkent. On one occasion, Bilash chased two panic-stricken Chinese diplomats attending the trial as observers all the way back to their car. When the court freed Sauytbay, her status as a national icon seemed assured. But Kazakhstan’s authorities have thus far refused Sauytbay permanent asylum, leaving her dependent on temporary extensions of her stay in the country. That has left her open to pressure from authorities, according to Sauytbay’s lawyer, Aiman Umarova, whose work defending vulnerable women earned her a U.S. State Department award in 2018. Umarova claims the security services recently asked Sauytbay to distance herself publicly from Bilash. They suggested national television as a suitable forum for turning on her champion, Umarova said. 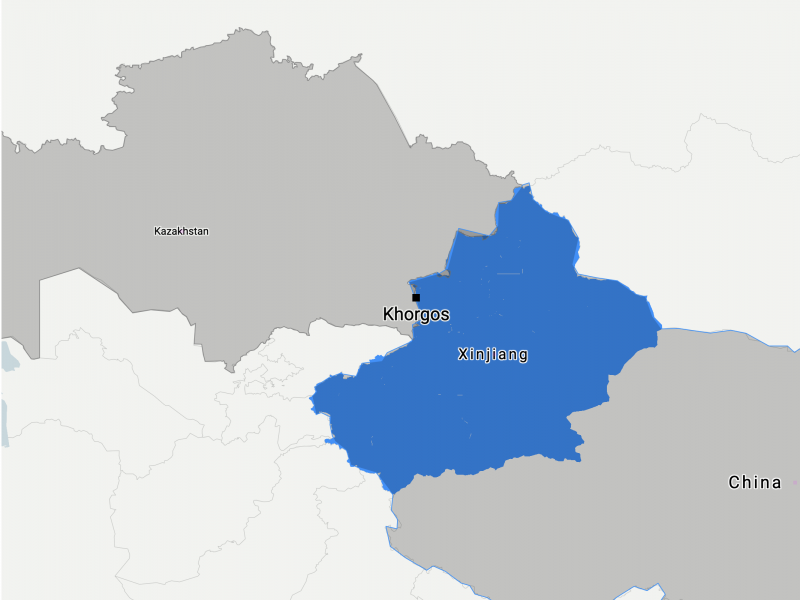 “They are targeting him because he is the loudest voice raising the rights of Kazakhs living [in Xinjiang],” Umarova, who has expressed willingness to represent Bilash in any upcoming legal hearings, told Eurasianet. Sauytbay, however, risked their wrath by refusing the offer. “She told me: ‘If I speak out against him, after everything that those people have done for me, who would I be then?’” Umarova said.